Beach House Perfect for your Next Getaway! Panoramic Ocean View Home with 4 Bedrooms! 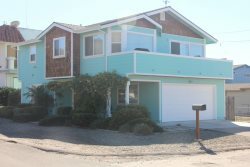 Monthly Rental - Ocean Front Masterpiece!